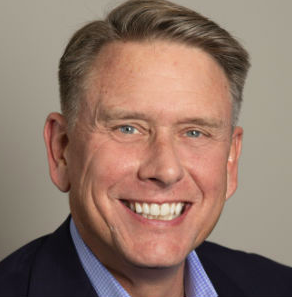 Applied Insight has hired as CEO an industry veteran with nearly 30 years’ experience in growing mission-oriented technology companies supporting the intelligence, defense and federal civilian communities. John Hynes steps into a role previously held by Gavin Long, managing partner at the Acacia Group, AI’s backer. Hynes will also join the AI board, which Long will chair. In a statement, Long said the company had sought “someone with a rare combination of strategic vision, mission understanding, operational maturity and M&A experience” to continue AI’s growth. Among other tasks, Hynes will lead the executive team, engage with senior customers, drive strategies for growth and advance the company’s ability to develop innovative solutions, AI said. Hynes said he had kept an eye on AI’s progress acquired by Acacia and had been impressed with the company’s success. Hynes previously served as chief operating officer of Engility, following his role as TASC president and CEO. His other prior leadership roles include general manager of SAIC’s technology-enabled mission-support business and ManTech’s head of the security and mission assurance division. Hynes also has government experience as a naval aviator. He graduated from the U.S. Naval Academy with a bachelor’s degree in economics, and also earned a master’s degree in management information systems from George Washington University. Previous ArticleTop 25 Execs to Watch in 2019: John Mengucci, CACI International Inc.